Dear Readers, Grace, love, peace and joy unto you, my beautiful brothers and sisters. To all my American readers, Happy Thanksgiving. Though I am serving an unjust life sentence for crimes that I did not commit, and though I have been in solitary confinement for four months now; I am never-the-less thankful. I have so much to be grateful for… my salvation, my family, my peace, my joy, et cetera, et cetera. This year, I am especially thankful for two of my very best friends, Tom and Terry Shuford. They are both amazing people, though they are too humble to realize that themselves. God has done so much for me, not the least of which was putting Tom and Terry in my life. I am so thankful for them, Father. Praise Your Name, Lord! I first met my buddy, Tom, in April of 2014, just before my trial started. Terry wrote me letters back then and she began visiting me a few months later. That was a very stressful time in my life. If it were not for the Lord blessing me with Tom and Terry, as well as my good friend, Deborah, I don’t know how I would have made it this far. The Lord did most of the work, but their support was and is crucial to my stability. Tom Shuford, with the help of his wife, Terry, works tirelessly to minister to inmates. He visits the Penobscot County Jail five days a week to mentor inmates. Up until recently, he drove four hours round-trip every Friday to visit me and a slew of other inmates here at the Maine State Prison. What is remarkable is Tom battled leukemia when he was 18. This was in the early 80’s when they had not yet developed proper treatment of the disease. Tom was among the first to receive a bone marrow transplant. Due to a lack of knowledge back then, Tom did not receive the proper care. He was left physically impaired. He has a host of medical problems. Tom is a walking, talking miracle. The doctors, to this day, are dumb-founded as to how he is still breathing. We Christians know how. God Almighty has a purpose for Tom. The prison has stopped allowing Tom to visit because of this site. Tom has kidney disease and is on the verge of total kidney failure. He recently found out that he is not a candidate for a transplant due to his medical issues. That means he will have to go on dialysis. He has to get surgery to install a filtration system in his body. Any surgery is extremely dangerous for Tom due to his health issues. Most people don’t live very long on dialysis. A lot of people in Tom’s shoes would give up. Not my buddy, Tom. He’s a fighter. He’s not fighting because he is afraid of death. He is fighting because he wants to continue to serve the Lord and he doesn’t want the men who he mentors to be let down. In the midst of kidney failure, Tom continues to visit inmates and minister to them. It’s amazing! When I was at Penobscot County Jail, the jail administration allowed Tom to visit and mentor me five days a week. It was such a blessing. Thank you, Jesus! I referred as many inmates as I could to Tom. We are a team. I ministered to them at rec and in the unit, while Tom visited and mentored them. There was a very troubled young man whom I wrote about in 2014. Tom and I worked very hard on him. When the young man was released, Tom picked him up every Sunday and brought him to church. Still the young man was reluctant to accept Jesus. He stopped going to church and fell into drugs. For the next eight months, the young man was in and out of jail. Tom and I never gave up on him. God motivated us to keep trying. From the very first time I met that young man, I instantly knew God wanted me to minister to him. The feeling was overwhelming. My brothers and sisters, I am thrilled to report to you that that young man has finally accepted Jesus. Hallelujah!! Praise God!! Shout Amen!!! Woo, I still feel like dancing every time I think of his salvation. That young man is drug free and he will be starting a new job shortly. I am so thankful for that. Thank you, JESUS! God is so great! Yes, indeed. You see, after I went to prison, Tom continued to mentor that young man and with God’s help, that young man asked JESUS into his heart. He is a new creation. Tom never gave up; the Spirit is so strong in him. We had begun to work as a team here at the prison until the administration stopped him from coming. After hearing that he must undergo surgery, Tom’s wife wrote me and told me the news. She also told me that Tom is praying that he gets to visit the prison before he gets surgery. He said he wanted to say “goodbye” to me just in case he doesn’t make it. Can you imagine? Here he is suffering kidney failure and facing death, yet he is concerned about me and the other inmates that he visits. Truly amazing. Do you see why I am so grateful for my brother, Tom? His wife, Terry, is filling out a visitor form to get approved for visits. God is too good to me! My own family lives several hours from here in another state. They are not able to visit much. So, God gave me a Christian family to visit with. I am so thankful. I am thankful for all the people that God has put in my life. From the volunteers to the inmates, even some of the guards. There are many wonderful people who work in the jail and prison system. I have met some extraordinary staff who have gone above and beyond for me. I consider them my friends. When I look at them, I do not see their uniform; I see a human being. Working in prisons and jails can be very stressful and difficult. It takes courage and perseverance. The ones who can endure and still manage to treat us like human beings, deserve gratitude. I thank them and I thank God for them. There are some unsavory characters here as well, but I see them not as my enemies, but as opportunities to witness for Christ. I pray that some day very soon, I can work together with the staff and prison administration. I want to help them in any way I can to develop programs that can rehabilitate [or in some cases, habilitate] the 95% of inmates who will one day be released. 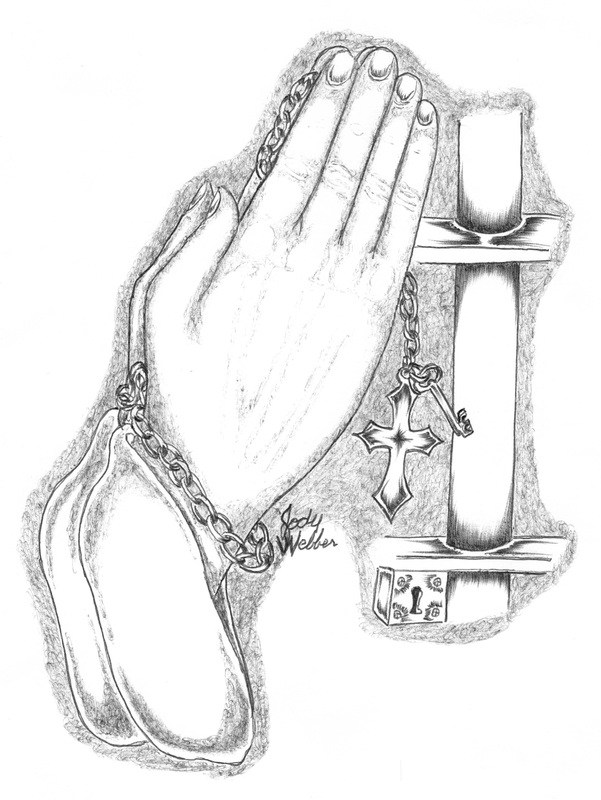 Let us pray: Father, please remove the fear of the prison administration. Please open their hearts, Lord. Please help Tom and all volunteers and staff, as well as myself, to better these men, Lord. Please, Lord, allow Tom to visit this prison again. Please, in Jesus name, help Tom with his health, Lord, and give Terry the strength to endure. In your Holy Name, Lord. Amen! Thank you for praying with me, brothers and sisters. I implore you all to search your hearts for the things which you are thankful for and thank God for them. Some of you may be going through a rough time, but there is always something to be thankful for. If you think hard enough, you will realize what you take for granted. We must thank God in good times and bad. It may sound crazy to some of you that a man in my shoes is thankful, but let me assure you that it feels wonderful to give thanks to God. We must always focus on the positive things which are of God. 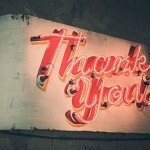 I am thankful for all of you who read this blog. I love you all in Christ!!! May God bless and keep you! May you be thankful in any situation! May you be blessed in all that you do! Amen!